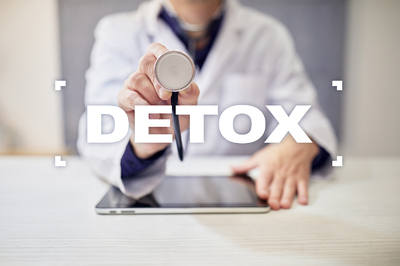 Understanding the nature of detox, and how it fits into the substance abuse treatment process, can help support recovery. If you or someone you love is suffering from alcohol use disorder (AUD), detox can be an invaluable lifeline and crucial part of your journey toward sobriety. Wondering what detox is and what it involves? Here’s a closer look at everything you need to know about detox. The Substance Abuse and Mental Health Services Administration’s (SAMHSA) Center for Substance Abuse Treatment clarifies the difference between detox and substance abuse treatment in its Treatment Improvement Protocol (TIP) Series. It is important for addicts to understand that detox merely lays the groundwork for recovery; substance abuse treatment is a critical next step. “Treatment/rehabilitation, on the other hand, involves a constellation of ongoing therapeutic services ultimately intended to promote recovery for substance abuse patients,” SAMHSA clarifies. It is also important to know that there’s no firm timeline for the detox process. In some cases it can take days or even hours. In other cases, it may take months. It is a complex process influenced by several factors, including the particular substance; the rate, dose and duration of use; the presence of other substances; the detox setting; patient goals; previous detox attempts; and the patient’s overall health. However, according to SAMHSA, the average detox takes less than eight days. 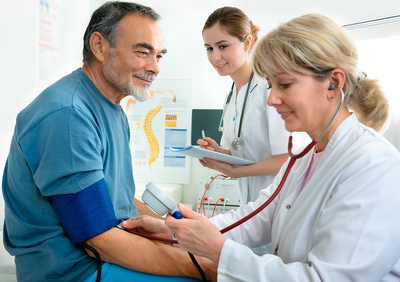 Evaluation, which involves a comprehensive assessment of an individual’s physical and psychological health, including “testing for the presence of substances of abuse in the bloodstream, measuring their concentration, and screening for co-occurring mental and physical conditions.” Each patient’s treatment plan is different, and the evaluation serves as the basis for formulating treatment strategies. Fostering the patient’s entry into treatment, which involves readying the patient for substance abuse treatment and building willingness by reinforcing the importance of seeing the process through the complete continuum of care. Additionally, there are two different types of detox: medically assisted and clinically managed. The former is done under the care of healthcare professionals, and is especially appropriate for people with addictions to alcohol; barbiturates, benzos and other hypnotic/sedative drugs; and opioids. Detox comprises both medical and psychological aspects. Is Detox Right For You? Detox, which can take place in a variety of settings, is an important step for people with many different types of addictions. In simplest terms, if you have developed a substance dependency, meaning that your body has adapted to the substance to the point where you need to take it in order to feel like you’re functioning normally, then detox may be the key to recovering your sobriety and your life. Think you can go it alone, meanwhile? Think again. While it’s possible to detox on your own, complications often arise which can increase the risk of relapse. Because of this, medical detox is widely regarded as the safest, most comfortable, and most effective detox method. One last thing to keep in mind? Alcohol detox, as well as other forms of detox, can be a frightening prospect. However, understanding another aspect of the process can make it easier: You will be supported throughout the process. SAMHSA reiterates the importance of treating patients with understanding and compassion every step of the way. “Patients undergoing detoxification need to know that someone cares about them, respects them as individuals, and has hope for their future,” concludes SAMHSA. To learn more about Harris House’s leading detox, substance use treatment and recovery programs, contact us today.